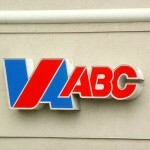 There is an interesting discussion taking place in the Commonwealth of Virginia as a result of Governor Bob McDonnell’s proposal to privatize the ABC stores currently run by the state. No, it has nothing to do with education, it is the state run enterprise of the Alcoholic Beverage Control stores. The governor claims that moving forward would raise around 500 million dollars that is sorely needed by the Virginia Department of Transportation (VDOT). Almost everyone agrees the VDOT needs the money as roads and bridges have seriously deteriorated as a result of years neglected maintenance and new construction delays. Money alone will not cure all the chaos that reigned in the department for several previous administrations, but they can’t move forward without it. McDonnell is taking heat from both sides for his plan. As expected, Democrat leaders are fearful that the taxes on the privately owned stores would not replace the revenue from the state run stores. Revenue is their life blood, where ever it comes from. Some sincere religious conservative leaders are concerned privately owned stores will make the acquisition of hard liquor easier with the potential for increased abuse. While this is a valid concern, both objections miss the real question. The thing no one is asking is, “Why is the government operating these post-prohibition era retail stores in the first place?” Is this really a proper function of government? While alcoholism is a problem in our society, we need to look into why the government should be the pusher of this product that has been detrimental to some. I find that question even more troubling. Those of us who consider ourselves conservatives and libertarians say we want a smaller government that sticks to it’s core functions. Proposals like Governor McDonnell’s deserve careful review and support when they arise. There is no legitimate reason a government agency with hundreds of locations and thousands of employees should be doing something that can be done more effectively and efficiently by private enterprise. If we, as a society, decide that the product is a detriment to us, no one should be selling it, especially the government. The national government decided to do this for us a while back and came up with a wildly successful concept know as “prohibition”. It made great fortunes for entrepreneurs like Al Capone and his enforcer Frank Nitti. It also gave rise to national heroes like Elliott Ness and Cam Allison who helped take them down. I’m not sure we want to get into that situation again. Twenty some states have privately owned liquor stores with no significant difference in alcoholism statistics. This is one small step in the direction we all say we are looking to go. Whatever the impact on revenue, it’s the right thing to do. That still is one of our concerns, isn’t it?